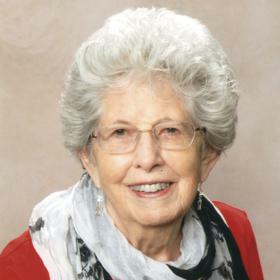 With a journey that spanned times of war and times of peace, times of plenty and times of want, Ellen Norean White was a blessing to so many around her. She was filled with love for her family, and she was so thrilled to witness her family grow to include the grandchildren, great-grandchildren, and the great-great-grandchild she treasured. Norean was guided by an unwavering faith, her life exemplifying what it means to be the hands and feet of the Lord she loved. Life will never be the same without her here, but she leaves behind a colorful mosaic of memories that her loved ones will forever hold near and dear to their hearts. Life during the 1920s was certainly exciting.  Jazz music and ballroom dancing were among the trends of the time, and it was also during this time that motion pictures came to life with both color and sound. Amidst this exciting time was a time of great anticipation in the lives of Howard and Theo Belle “Lytle” Steele as they were awaiting the birth of their new baby as November dawned in the city of Kalamazoo, Michigan, in 1924. The big day finally arrived when the baby girl they named Ellen Norean drew her first breath on November 7th. 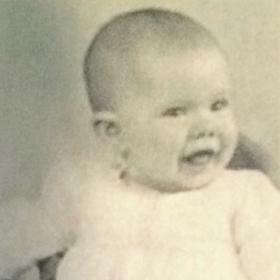 She was the oldest of five as she was joined in her family by her siblings, Norean, Bruce, Nina, Don, and Mike. In many ways Norean was a typical young girl of her time. Her father worked as a farmer and carpenter while her mother helped out on the farm. Norean was active in the 4-H while growing up, and she was a sewing leader for many years. She attended local schools and played the piano for the choir while attending Kalamazoo Central High School. After graduating from high school in 1941, Norean went on to attend Western State Teacher’s College, which is now known as Western Michigan University. Norean also worked in a dress shop in downtown Kalamazoo. Not to be forgotten during her years as a young woman was Norean’s introduction to the man of her dreams. His name was Lester Noble, and she knew he was “the one” from the time they met when she was just a teen. 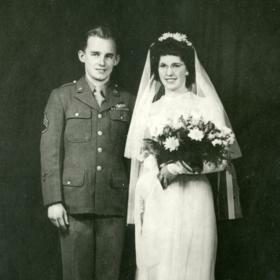 With a desire to establish a life together Norean and Lester were married on November 24, 1944. The newlyweds lived in California and Texas while Lester was still in the Army Air Force, but they settled in Kalamazoo, Michigan, in 1945 when his military duties were fulfilled. 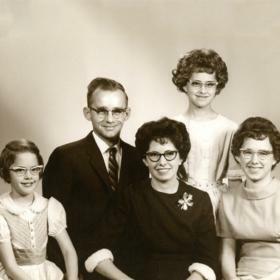 Together they welcomed four children including Lucy, Peggy, Evelyn, and Arlene into their hearts and home. They enjoyed spending time as a family and looked forward to vacations. On one occasion they went out East and to Texas, and they also visited Mammoth Cave. The Nobles also regularly rented a cottage on a lake where Norean’s husband would attempt to teach their girls to fish. In addition to caring for her family, she worked as a secretary and then later retired from First National Bank. Throughout her life Norean’s faith was a cornerstone. She began attending Cooper Congregational Church as a young teen and later became a member of Cooper Baptist Church when the church began. Norean had presently been attending Northeastern Baptist Church. At all the churches she attended, she played both the piano and the organ. Norean also taught and hosted child evangelism classes in her home when her children were young and taught Sunday school as well. In addition, she gave of her time serving on the board of the hospital chaplaincy organization. A woman of many interests, Norean was one to keep busy. She was a good cook and made the best pies of anyone around. Norean also taught her daughters how to cook. She loved Plainwell Ice Cream too. She enjoyed sewing, crafts, putting puzzles together, quilting, knitting, crocheting, music, and embroidery. Over the years Norean did a lot of traveling all over the world. Norean also treasured her time spent with her girls enjoying their annual "Noble Girls Getaway" where they traveled from Michigan to Pennsylvania, Florida and Alaska and numerous other places over the span of 25 years. For years she wintered in Florida, as well. Although she faced trials, Norean’s faith remained strong. In 1973, she was deeply saddened with the death of her first husband, Lester. In May of 1977, Norean married John Ruster, but sadly, he passed away in 1979. Later on, she married Charles White in December of 1988, and together they shared nearly 25 years until his death in January of 2013. Recently, Norean enjoyed the constant companionship of her cat, Molly. With unending love for those around her, Ellen Norean White was truly beautiful on the inside and out. She was very inquisitive and detail oriented with a fun-loving side that loved to tease. Norean didn’t shy away from speaking her mind, and her desire to serve others was easy to see. A more devoted wife and mother would be hard to find, and the memories she made with her family and friends were the memories she cherished most. Dearly loved, she will be forever missed. Ellen Norean White, 93,, of Kalamazoo, MI, went to be with the Lord on July 24, 2018. Norean is survived by her daughters: Lucy (Bruce) Askin, Evelyn Bronson and Arlene (Robert) Krause; 8 grandchildren; 12 great grandchildren; 1 great great grandson; her siblings: Bruce (Mary Lou) Steele, Nina Baker, Donald (Donna) Steele as well as many nieces and nephews. 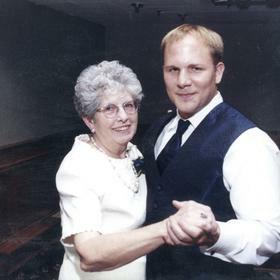 Norean was preceded in death by her parents; her husband of 25 years Lester Noble, her husband John Ruster who passed away in 1979 and Charles White who passed away in 2013; her daughter Peggy Noble and son-in-law Doug Bronson; her brother Robert “Mike” Steele and brother-in-law Bob Baker. Visit with family and friends on Thursday, July 26 from 4:00 - 7:00 p.m. at the Marshall & Gren Chapel of the McCowen & Secord Funeral Home; 120 S. Woodhams St. in Plainwell. A funeral service will be held on Friday, July 27 at 11:00 at the Northeastern Baptist Church; 6536 E. G Ave. in Kalamazoo with a visitation beginning at 10:00. 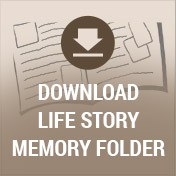 Please visit Norean’s memory page at www.mccowensecord.com where you can sign her guest book on-line and share a memory. Memorial donations can be made to Hospice Care of Southwest Michigan or InterVarsity Christian Fellowship/USA.